Golf Chipping Tips – Chip it close every time!! A lot of golfers struggle in getting the chipping set up correct, which can lead to a lot of poor shots from around the green. 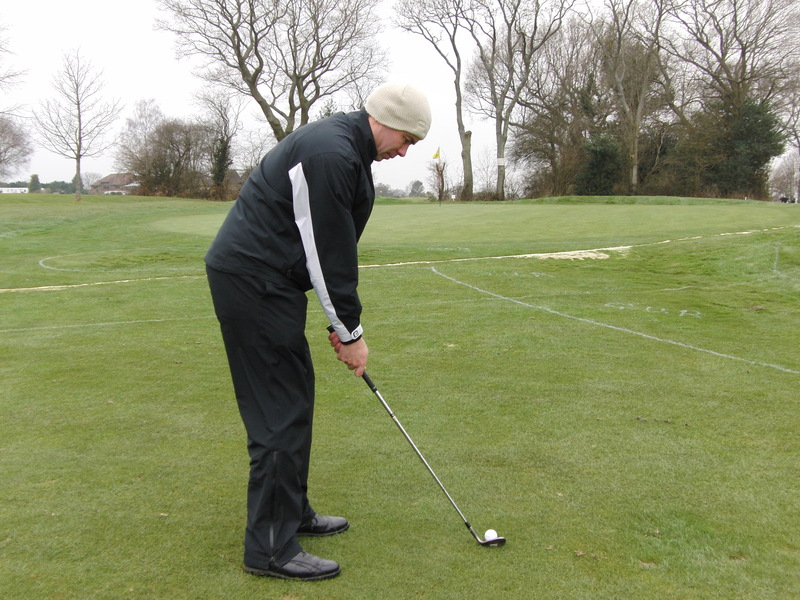 Many golfers who come along for chipping lessons are under the impression of ‘the stance must be open, ball must be back in the stance and the hands must be way forward’. This unfortunately leads to poor swing paths, steep angles of attack and utilising the leading edge of the club rather than the bounce leaving no room for margin of error. This will lead to a lot of inconsistent shots, thin and heavy and off centre strikes. Keep the ball position just inside the left heel with the shaft angle almost straight up from the ball, I don’t mind if it leans a tiny bit towards the target, but not excessively. I would be happy if the top of the grip was in line with the centre of the ball. Keep your weight 60% on the left side and pivot around that point. Your spine angle should be straight up, not tilting away from the target which is another trait of a poor chipper. The body alignment should be parallel to the target line as we want to promote a swing path that goes down the target line, not cut across it!! An open stance would promote you to cut across the ball, putting side spin on the ball. A stance that is parallel will help you swing the club down the target line promoting pure back spin so the ball will check a little then roll out on your desired line. Posture should be athletic and your distance to the ball should be quite close to help with the down the target line swing path. Keep the clubface square throughout the shot even long into the follow through as this will help achieve a great consistent ball roll. 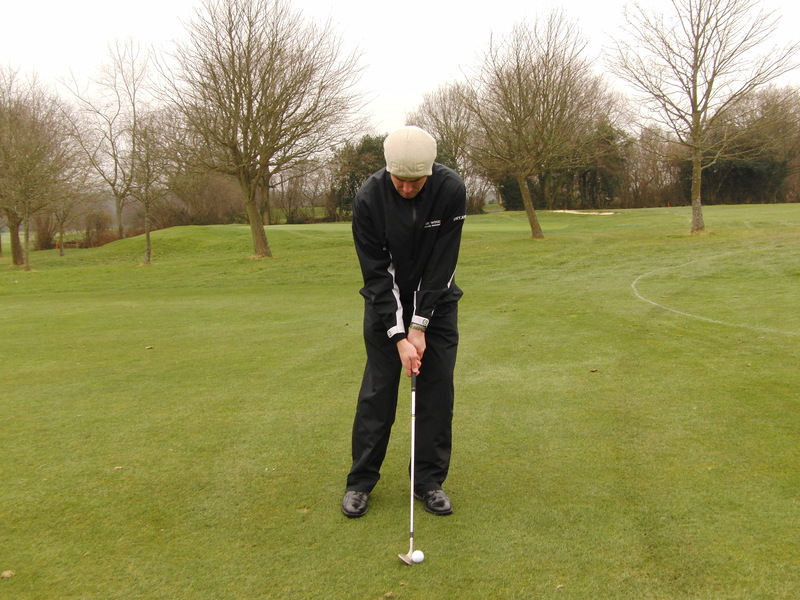 Best Golf Chipping Tips from the UK’s No1 Golf Coach where it counts – Results!